One of my favourite gifts of life is having the freedom to reinvent myself. At any moment I can choose to be who I want, learn something new, diversify my wardrobe, plan to move country or challenge myself into a different career and so on… It is a luxury to have this level of freedom, which unfortunately isn’t as readily accessible to everyone in the world, yet. Hopefully we’re heading in that direction. And it certainly wasn’t always the case for us to have it this way. If you are reading this, you are amongst the blessed ones who can more easily tap into such freedom too. A popular way to reinvent ourselves is aesthetically, through a new hairstyle for example. How many of us braved at least once that trip to the hair salon to get a totally new cut and colour? A form of fresh start. I know I have many times. The good news is that we can do the same with any other part of ourselves and our lives! 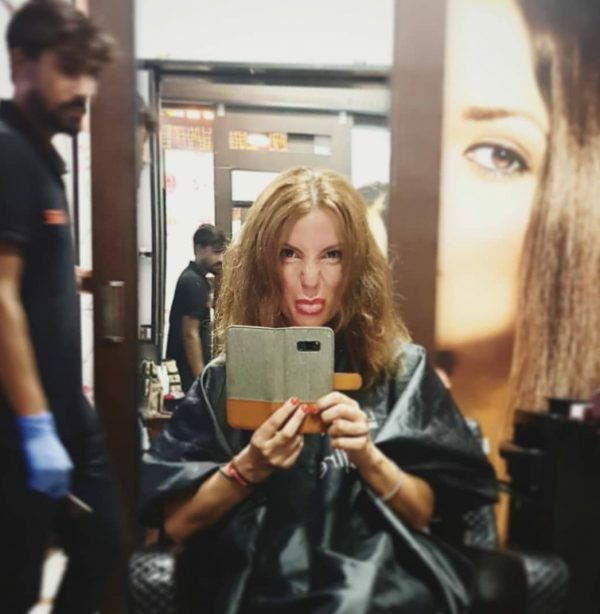 Ok. Changing may not always be as easy as booking a salon appointment but depending on what part of yourself you want to reinvent, it requires a proportionate amount of time and effort. The process can be just as fun and exciting. Grab a glass of wine and a magazine. The biggest transformation we can make is reinventing our mindset. The way you think of yourself and view life today, is not necessarily how you are destined to see it forever. If you always believed you were a glass-half-empty person, for example, know that optimism can be taught. Our perspectives are changeable and we’re the ones with the controls. Furthermore, it has recently been proven that the brain is not static but has the ability to rewire and renew itself throughout our lives. We are not designed to deteriorate aaand neuroscience research shows that beautiful thoughts reverse the signs of ageing! So next time you’re asked what your secret is for looking so good for your age (you know, that awkward “compliment” you get when you’re not fitting with the standards of your age-bracket), you can tell them it’s all down to your choice of thoughts. A new look, a brighter dress and higher heals can complement a transformation and a new attitude, however the biggest work is done inwardly. We have the power to create the best mindset we need for any given situation. For me, knowing I have the freedom to change and the belief I can succeed in whatever I choose to change into, helps me relax and appreciate my present moment more. I am here now, enjoy it. I don’t like it, enjoy changing it. I have reinvented myself many times. Certainly in terms of looks (my hair and wardrobe adapted to many different phases over the years), but also in terms of lifestyle. Growing up in Italy, I attended art school for the love of creativity, wearing unconventional (i.e. ridiculous) clothes and a dream of working in the film and theatre industries. But straight after high-school I moved to London, not knowing I’d be staying for over 20 years. Here I changed from being a young au-pair to a bilingual office manager in design industries then heading a company secretarial department in a large energy company, with a masters in corporate governance. More recently I left 9-5 to explore outside the office walls, travel and try out new adventures. Now I am a nomadic freedom coach and a landlady, touring Europe in a camper van. Does this make me a lost soul, someone with no clear ideas of what she wants to do and be? To many, I guess it does. I get that lost and confused feeling when comparing myself to others. Hence I try not wasting energy comparing myself and instead focus on making my life exciting and unique. When asked what I do in life, I am conscious that the answer will reflect an opinion or expectation in that person’s mind. I am a combination of all my transformations. I evolved into who I am because of all the changes I experienced. is what we often ask children. Some people have always known what area they wanted to grow into. One of my BFFs knew she wanted to be an architect since forever and she is striving in this career she is so passionate about. I find that so special. Others don’t have that same vision, but still make a success of everything they get into. The latter represents more my case. I find this special too. The world needs variety. People who know and pursue the field they’ve loved from age 0 and people who keep exploring and create new avenues. Either way, we are all choosers within our wide remit of freedom. Sometimes we reinvent ourselves to simply escape. When I left my corporate job, I was labelled as a corporate escapee so I looked up the definition of escape: “to become free or get free from…”. You don’t always know exactly what that change will bring about, what your next job will be or where you will get the love or security you may be leaving behind. But for sure you know it will free you from something that is causing you unhappiness. Knowing what you want to walk away from can be enough to create your new goal: something that is not what it is now. As you take steps forward, open up to new possibilities, explore in a direction where your heart takes you and answers will appear. FOR MORE ON MY JOURNEY, REGULAR UPDATES AND LIVE VIDEOS, FOLLOW ME ON FACEBOOK [Gr8fool on FB] AND INSTAGRAM [Gr8fool on IG] .